Deb Swenson is admitted to practice in Minnesota state and federal courts. 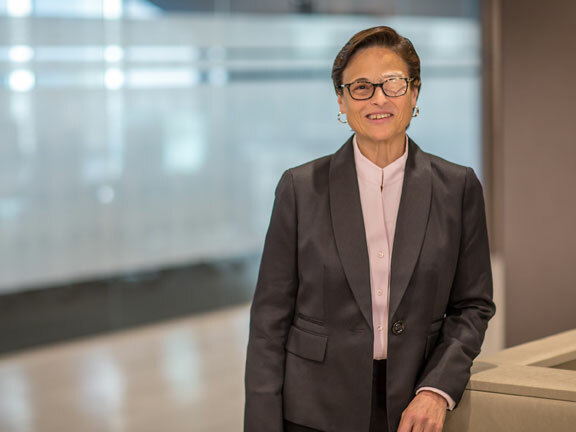 As a shareholder at Lommen Abdo, Deb Swenson provides clients with practical, cost effective legal advice in the area of commercial bankruptcy and commercial litigation. In bankruptcy matters, she assists clients who have customers that have filed bankruptcy matters no matter where they arise in the United States. Her philosophy is based upon the belief that clients shouldn’t have to pay the cost to reinvent the wheel to repeatedly educate attorney after attorney about a legal issue that is common to their business. Instead, she uses her knowledge of her clients’ businesses to work as a team with a specially chosen local counsel to bring about positive results without the high cost of travel. Her practice is unique as over the last 20 years she has developed relationships with counsel in all 50 states, enabling her to provide clients with a one-stop process to have their commercial bankruptcy and commercial litigation matters handled efficiently and effectively. She enjoys providing these services to clients across the country. Current clients include Fortune 500 companies in the transportation, staffing and services industries. She has also worked on appellate matters in the Minnesota Court of Appeals, the Minnesota Supreme Court and the Eighth Circuit Court of Appeals. Of special interest to her is the defense of avoidance actions, including preference and fraudulent transfers. During her long legal practice she has defended corporations in hundreds of avoidance actions in over 40 jurisdictions. Deb has also worked to protect her clients’ interests in bankruptcy through an active motion practice, including relief from the automatic stay and other motions in the bankruptcy courts throughout the United States. She has also served as a liquidating trustee in a Minnesota Chapter 11 liquidation case involving former franchisee. Deb is very knowledgeable and a player in the bankruptcy market in the Midwest. Deb is an excellent attorney and good source of referrals. I give Deb excellent marks across the board without any hesitation. She practices law at the highest standards, and her legal expertise and ethical standards are at an AV level without question. One of the best lawyers I have ever dealt with. Deborah is incredibly knowledgeable and diligent. I hold her in the highest regard as a person and a lawyer. Lommen Abdo is probably the most efficient and honest law firm I have dealt with in years. They have no hidden agenda; they are just a very fine firm. Deborah Swenson is extremely knowledgeable and has a wealth of experience. Deb is rated AV Preeminent® for the highest level of professional excellence by Martindale-Hubbell. Deb Swenson, on her creditors’ remedies practice.